The definitive biography of one of the twentieth century's finest poets, Siegfried Sassoon - The Making of a War Poet is based on 7 years of detailed research by Jean Moorcroft Wilson. 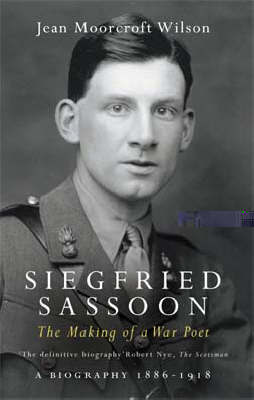 Published to great critical acclaim, this first volume covers Sassoon's life up until the end of the First World War. Wilson has unearthed many private and unpublished letters and papers, which have enabled her to embark on the journey towards self-knowledge that Sassoon himself felt that he could never take.